Two fine art galleries flank the historic Meriwether County Courthouse in Greenville, GA. Artisans on the Square, on the west side, opened in November 2016 in the historic Hill Brothers Corner, built in 1896 and owned by the Hill Family until purchased by current owners, Rod and Linda Wilburn, in 2012. 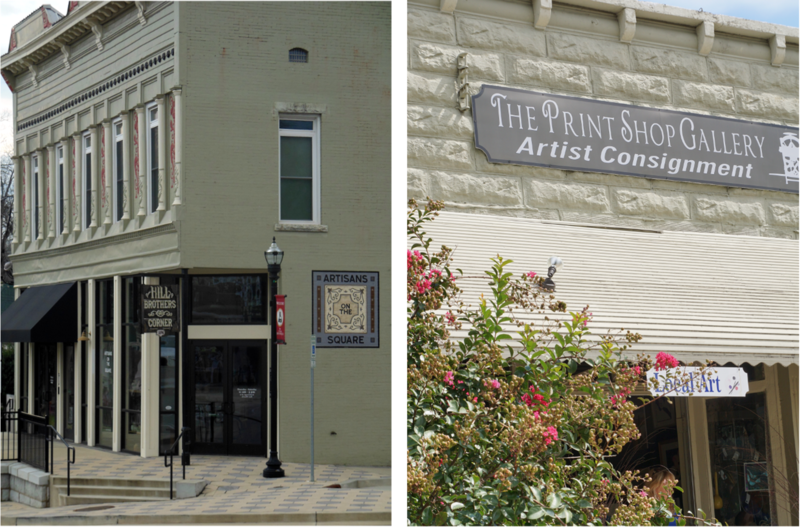 Our sister gallery, The Print Shop Gallery, on the east side, opened in January of 2011 in a historic 1896 building and former home to Charles Jones Printing. Both galleries sell original art only, on consignment, and represent regional artists from Georgia and Alabama. Our mission is to establish Greenville GA as a destination for fine art. 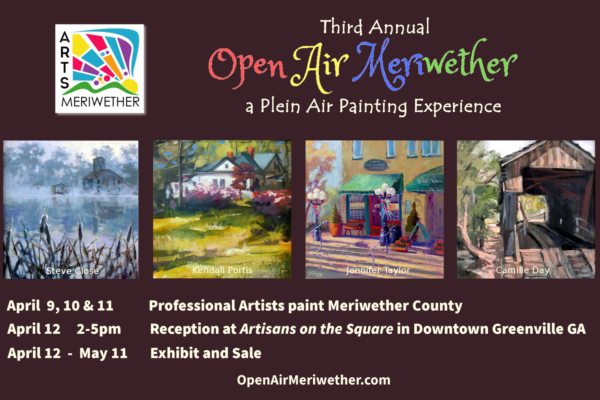 Artisans on the Square hosts six to eight Special Exhibits every year featuring one or more artists and genres of art for a month at a time. These exhibits introduce artists and types of art not typically experienced in our area. We will continue to reach out to artists who will bring new art experiences to Meriwether County.